I traveled to South Dakota and visited several parts of the State. 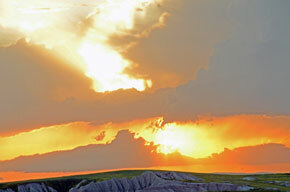 My first stop, Badlands National Park. I had a beautiful view from my campsite. I hit the popular trails but what I enjoyed the most was hiking the back country. I got my best shots at the scenic overlooks and pulling off to the side of the road to explore an area. My second stop, Mount Rushmore National Memorial. I spent several hours in the park and attended the Evening Lighting Ceremony. The sculpture is amazing! My third stop, Spearfish Canyon in the Black Hills. I traveled the scenic byway and made several stops along the way. I spent time by the fast moving stream that runs to the side of the byway, very serene area. 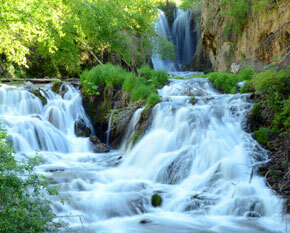 The byway ends at Roughlock Falls, a stunning waterfall. I met two photographers along my trip. I really enjoyed talking with them and they both gave me great tips to improve my photography. This was a fantastic trip! All of South Dakota that I traveled was beautiful.